A box mod is only as good as the tank that you equip it with! To ensure that you get the most out of your sub ohm vape, complete it with the Aspire Revvo 3.6Ml Sub Ohm Tank. 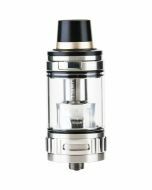 This tank is packed with exclusive technologies that make vaping easier and more satisfying. Most sub ohm tanks feature two adjustable slots for customizing airflow. With the Aspire Revvo 3.6Ml Sub Ohm Tank, you'll benefit from three slots, allowing for a greater flow of air. This gives you the ability to take larger, fuller draws of rich, satisfying vapor. 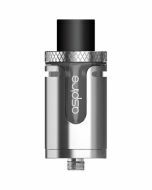 The Aspire Revvo 3.6Ml Sub Ohm Tank is the only tank on the market to feature cutting-edge ARC (Aspire Radial Coil) technology with stove top like coil design. An Aspire Radial Coil sits horizontally in the tank, providing a large surface area for vaporizing your e-juice. As a result, vapor flows more freely and is denser and more flavorful. With its 3.6-milliliter capacity, the Aspire Revvo 3.6Ml Sub Ohm Tank can hold plenty of e-juice for long sessions. When it finally becomes time to refill, you can do so easily through the slot in the top of the tank. This way, you can just insert the tip or dropper of your e-liquid into the tank. The Aspire Revvo 3.6Ml Sub Ohm Tank is built to stand the test of time. Metal construction allows the tank to hold up to wear and tear, and the Pyrex tank resists cracking, scratching and shattering. The glass chamber keeps your e-juice pure to enhance the flavor of every draw. When you're on the go, you can bring the Aspire Revvo 3.6Ml Sub Ohm Tank along without worrying about leaks. A rubber protective cap is included to cover the tank and keep your e-juice contained. The cap also helps to protect the tank from damage due to changes in air pressure during air travel. Complete your box mod with the tank that's engineered to enhance your experience. Order the Aspire Revvo 3.6Ml Sub Ohm Tank now. For more info: NEW! 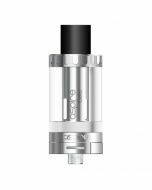 Aspire Revvo Tank - Aspire Vape Co.